It’s Panda time. Pile in. 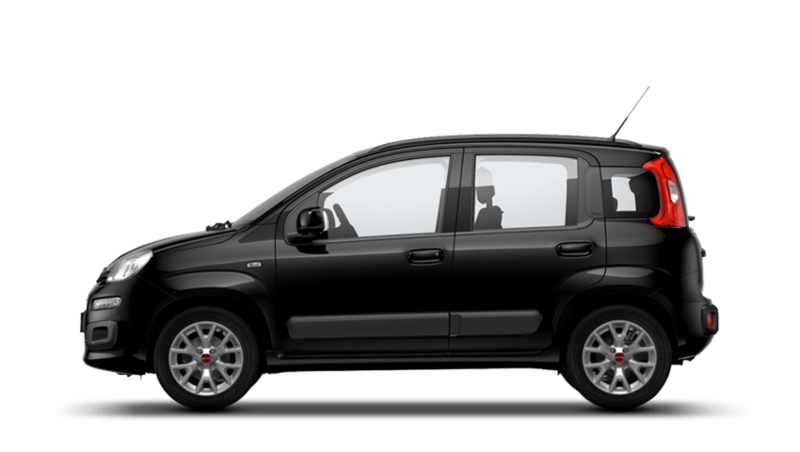 The all New Fiat Panda – functional, solid, intelligent and free spirited. Every element has been de-signed to give you the best driving experience! The latest Panda contains Blue&Me™ – TomTom 2 LIVE which makes driving life simplistic! You can access the system through the touch of a button, command the navigation system with your voice, control your music or answer your mobile phone. With the Fiat Panda, you can choose from a range of colours, trim levels, custom packs and many accessorizes so you can create your very own unique car. For the rear of the Panda, you can also choose the best suited seat configuration to cater for your requirements, and pick either a single folding backrest or opt for a 60/40 split. The eco-friendly Panda offers Start&Stop technology, which helps you cut back on fuel consumption and emissions, as this clever system stops your engine when stationary or at traffic lights, and instantly starts when you set off. After you purchase a new Fiat model through one of our Richard Hardie Fiat dealerships which includes Silverlink and Ashington, you can also sign up to one of our Fiat Servicing Plans to help you spread the cost of maintaining a car and give you peace of mind. We also have a large stock of genuine Fiat parts, so you can trust us to maintain your car in-line with the manufacturer’s standards. Perfect for travelling through the countryside or the city, the Fiat Panda offers comfort, style and intelligence. This model includes Central door locking, Body coloured bumpers, 14” steel wheels with full ‘POP’ wheel cap, Adjustable steering wheel, 12V Power socket, Dualdrive power steering, Fix&Go puncture repair kit, Start&Stop (not 1.2 8V), Black door mirrors, Black door handles, Manually adjustable door mirrors, ABS + EBD, Driver’s, passenger & window airbag, ESC (Electronic Stability Control), TPMS (Tyre Pressure Monitoring System) & Radio with CD and MP3 player (4 speakers). As well as including all of the features of the Panda Pop, the additional features are Air conditioning, Roof rails, Luggage compartment light, Height adjustable driver’s seat, 2 rear head restraints, Remote control central door locking, 14” steel wheels with full ‘Easy’ wheel cap & Radio with CD and MP3 player (6 speakers).